The beauty of wildlife photography is feeling a connection with another being. 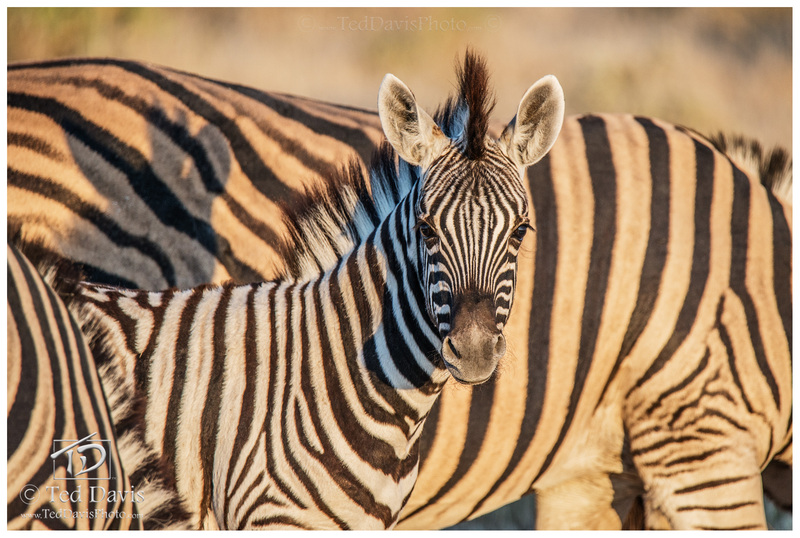 I’d been photographing in Etosha for nearly a week when I began to frame shots of a small herd of zebra close by. With a super-zoom lens on my camera and my eye glued to the viewfinder my world was reduced to the smallest of frames. I was searching for something amidst that herd. Panning the camera, I locked eyes. Staring at me from mere feet away was the most magnificent young colt, a question in its gaze. I don’t know how long I kept my camera focused on this striking innocent creature, but in a heartbeat it was over. I’d made a connection and gotten lucky – pressing down the shutter to capture the moment for eternity.
. Photo © copyright by Ted Davis.